Japan is considering whether to buy cruise missiles due to the increasing threat posed by North Korea’s ballistic missile development, according to officials quoted in The Japan Times on May 6. The government may include funds in the fiscal year 2018 budget for studying the feasibility of purchasing U.S. Tomahawk cruise missiles, according to the report. The missiles would likely be deployed on Japan’s Maritime Self-Defense Force Fleet. Missile advances may destabilize an already dangerous region. India and Pakistan are pursuing the development of new nuclear-capable missiles that risk further escalating tensions in South Asia and increasing the chance of a nuclear exchange. In the past several months, both countries have tested and refined systems for deployment. Although their nuclear ambitions and advancing capabilities should not be considered in isolation or solely as bilateral, there is an action-reaction dynamic between the two states that drives their advances. China is also a factor, particularly in India’s military planning, as New Delhi pursues longer-range ballistic missiles that are more relevant to deterring Beijing than Islamabad. This creates a complex nuclear geometry in Asia, in which developments intended to provide stability often have the opposite effect. Indeed, some of the recent developments raise serious concerns about control of nuclear missiles in the field and an increased risk of an unauthorized nuclear attack. 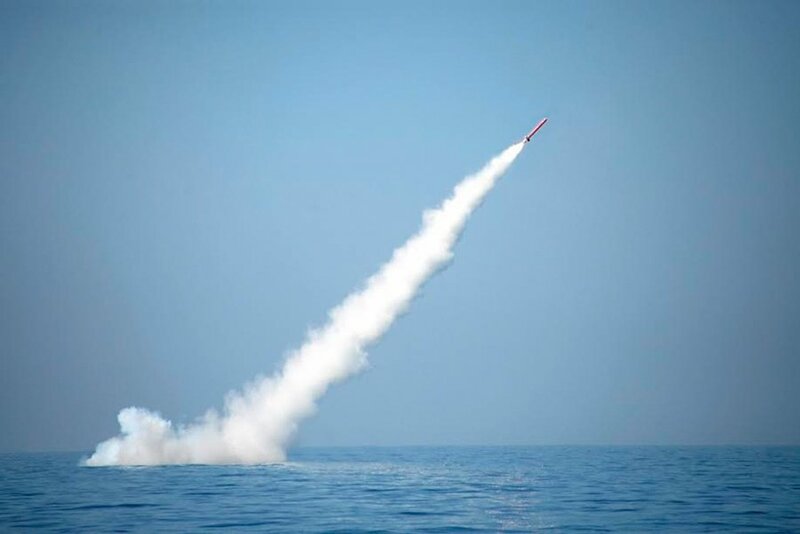 Pakistan’s Jan. 9 test-firing of a sea-launched cruise missile, the first for that missile, is one of Islamabad’s responses to India’s sea-based nuclear deterrent and advancing ballistic missile defense system. The missile was tested from an undisclosed location in the Indian Ocean and hit its target with “precise accuracy,” according to a statement from the Inter-Services Public Relations (ISPR), the media arm of the Pakistani military. The nuclear-capable missile, known as the Babur-3, has an estimated range of 450 kilometers. It is a variant of the ground-launched Babur-2 cruise missile, which has an estimated range of 700 kilometers and was last tested in December 2016. The Babur-3 gives Islamabad “a credible second strike capability, augmenting deterrence,” the military statement said. That judgment might be premature, given that the Babur-3 was tested from an underwater mobile platform and is not likely ready for deployment on Pakistan’s diesel submarines. But Pakistan’s decision to pursue a sea-based deterrent is not a surprise. Evidence, such as Pakistan’s decision to stand up a Naval Strategic Force Command in 2012, pointed toward its pursuit of a sea-based deterrent. India was not cited by name as the reason for pursuing a sea-based deterrent, but the Pakistani military statement alluded to Indian developments as a motivation, saying that the missile is a “measured response to nuclear strategies and postures being adopted in Pakistan’s neighborhood.” The reference likely included India’s recent deployment of a nuclear-capable, submarine-launched ballistic missile to ensure the survivability of its deterrent and complete New Delhi’s nuclear triad. India’s first ballistic missile submarine, the Arihant, completed sea trials in 2016 and is widely believed to have been inducted into the Indian navy. The Arihant-class submarines can carry India’s nuclear-capable K-4 or K-15 ballistic missiles. In the days following the Babur-3 test, India announced it would test-fire a K-4 ballistic missile, but there has been no subsequent announcement of a test taking place. The K-4 is an intermediate-range ballistic missile assessed to have a range of approximately 3,500 kilometers, as opposed to the K-15, which has a range of approximately 750 kilometers. The K-15 reportedly was tested twice in March 2016 and is now in production. The decisions by India and Pakistan to pursue sea-based nuclear weapons systems, although presented in terms of strengthening deterrence, raises concerns about the actual impact on stability in the region. Both countries currently are believed to keep warheads separated from missiles. Sea-based deterrents, however, require mating the warheads and missiles prior to deployment. If India and Pakistan view their submarine forces as the survivable leg of the nuclear deterrence forces, waiting to deploy a submarine until a crisis scenario is not an attractive option. This raises questions about the management of the nuclear warheads at sea and the reliability of the communications systems. If submarine commanders have the ability to fire nuclear-armed missiles, it could increase the chances of an unauthorized or accidental launch. The concern about delegating command-and-control authority also applies in the case of some ground-based systems, such as Pakistan’s short-range tactical ballistic missile, the Nasr. The Nasr has a range of approximately 60 kilometers, and the ISPR has described the system as filling a gap to “deter evolving threats,” which includes India’s conventional military superiority. To use the Nasr as a deterrent against conventional attacks, it may be necessary in certain situations to transfer command and control of these tactical nuclear weapons to commanders on the ground. Some experts view the development of the Nasr, with possible pre-delegation of authority, as potentially destabilizing and increasing the likelihood of use against a conventional attack by India. Pakistan’s development of the Babur-3 and MIRV capability on the Ababeel comes as India makes advances with its ballistic missile defense system. The Indian Ministry of Defence announced Feb. 12 that it “successfully conducted a test wherein an incoming ballistic missile target was intercepted by an exo-atmospheric interceptor missile off the Bay of Bengal.” The statement described this as an “important milestone in building its overall capability” to defend against incoming ballistic missile threats. MIRV-capable and cruise missiles, however, can make it more difficult for missile defenses to intercept incoming warheads. The Babur-3 “features terrain hugging and sea skimming flight capabilities to evade hostile radars” and air defenses, the ISPR said in its statement. While Pakistan is orienting its new delivery systems based on developments in India, India is considering China as it deploys new ballistic missiles. India’s pursuit of long-range ballistic missiles further destabilizes the region’s complicated strategic geometry. These missiles, primarily the Agni-4 and Agni-5, are clearly directed toward China. Although it is doubtful that China’s decision to display the missile again is directed at India alone, it does highlight China’s regional nuclear capabilities that likely concern India. Edited by Michael Krepon, Travis Wheeler, and Shane Mason, Stimson Center, 2016, 204 pp. Embracing theories of nuclear war-fighting and deploying capabilities to attack the nuclear forces of a potential adversary provide nations with little security advantage and obligate them to spend vast defense resources on nuclear forces for decades. Such reliance on this expansive approach to nuclear deterrence can also hinder the improvement of political relations and increase the chances of unintended nuclear war during a crisis. China, India, and Pakistan should be mindful of this as they structure their future nuclear forces. Further, the security interests of the two dominant nuclear-weapon powers, the United States and Russia, would be served by disavowing theories of victory in nuclear warfare. That is the basic message of “The Lure & Pitfalls of MIRVs: From the First to the Second Nuclear Age,” an important recent study edited by Michael Krepon, Travis Wheeler, and Shane Mason and published by the Stimson Center. This study fills a gap and breaks new ground in the scholarship on the technology of the nuclear arms competition. The focus of this collection of six essays is the technology for placing multiple nuclear warheads on a single ballistic missile and providing those warheads the ability to attack the protected nuclear forces of an adversary. Russia, the United Kingdom, France, and China have adopted this innovation, pioneered by the United States in the 1960s. India and Pakistan are developing this capability and are likely to deploy such missiles in the near future. This report makes a vital contribution to international security research and provides detailed history of the U.S.-Soviet rivalry in multiple independently targetable re-entry vehicles (MIRVs). Through the writings of regional security experts and former military officials, it also analyzes the emerging nuclear forces and doctrines in China, India, and Pakistan. The study cautions decision-makers in China, India, and Pakistan that if they wish to “avoid repeating the missteps of the United States and the Soviet Union during the first nuclear age,” they must limit the extent to which multiple warheads are placed atop missiles and proceed at a slow pace. Most importantly, they should reject nuclear counterforce targeting strategies and war-fighting doctrine. Such nuclear war-fighting strategies during the first nuclear age resulted in heightened insecurity and a prolonged nuclear arms race. MIRVs propelled vertical proliferation more than any other technological advance during the first nuclear age and gave rise to pyrrhic notions of prevailing in a nuclear war. This lesson is drawn from the solid research on the U.S.-Soviet nuclear arms race of the 1960s, ‘70s, and ‘80s. This study comes at a critical time because the United States and Russia are entering a new round of this competition and other nuclear powers appear to be following suit. MIRV technology combined with greater missile accuracy enables ballistic missiles to target hardened missile silos, airfields, submarine bases, and command centers. For example, the United States and the Soviet Union placed up to 10 or more nuclear warheads on a single missile so that a force of 50 missiles could destroy 500 or more separate targets. The United States made extensive deployments of MIRVs first, rapidly expanding the number of nuclear warheads in its arsenal. This was considered to have several important advantages. Most importantly, it was thought to provide a nuclear force superior to the Soviet Union. Although deterrence theory holds that nuclear war will be avoided because each side is equally vulnerable to destruction by the other, neither the United States nor the Soviet Union (or Russia today) has been satisfied with this condition. Each side sought nuclear forces that would provide some measure of advantage over the other. The United States, in particular, believed during the Cold War that the perception of nuclear superiority was vital to its entire national security and foreign policy strategies, as this study demonstrates with meticulous evidence from official documents, memoirs, and declassified sources. Because U.S. policymakers believed that international perceptions of the balance were of pivotal importance for U.S. interests, they supported superiority in MIRVs and other measures of nuclear competition. It was considered essential that U.S. nuclear forces conveyed military strength and political resolve in order to reassure friends and induce caution among potential adversaries. Arcane metrics for assessing the nuclear balance such as missile payload weight, the number of deliverable warheads, their ability to defeat missile defenses, and their explosive power were valued and painstakingly assessed by strategic analysts. It did not matter that asymmetries in these categories of nuclear strength had dubious efficacy on the outcome of war if deterrence failed and a major exchange of nuclear weapons occurred. The perception of advantage was thought to be more important than actual advantage. This belief system sets up an endless cycle of nuclear weapons competition that endures and is intensifying between the United States and Russia today. MIRV technology was also thought to provide the United States with several nuclear war-fighting advantages should deterrence fail. The first was so-called damage-limitation capability. The best way to limit an adversary’s ability to inflict damage on the United States was to promptly destroy as much of that nation’s nuclear arsenal as possible before it could be used. MIRVs allow an adversary’s nuclear arsenal to be heavily damaged by only a portion of an attacker’s overall force, leaving the attacker a potentially larger reserve of nuclear weapons to deter a weakened response. In the case of the Soviet Union, which deployed the vast majority of its nuclear forces on vulnerable silo-based missiles, this doctrine permitted one U.S. theory of victory in nuclear war. Following warning of an attack or pre-emptively, the United States could destroy much of the Soviet arsenal and national infrastructure and face only limited retaliation or possibly even termination of the conflict on favorable terms. Of course, this theory also worked in reverse. Once the Soviets acquired a large force of intercontinental ballistic missiles (ICBMs) with MIRV capability, they too had the option to strike first. When both nations possessed such capabilities, the incentives to launch on warning of an attack increased. Because early-warning systems are imperfect and prone to false alarms, this raised the risks of nuclear war by accident or miscalculation, a situation that persists today. Another military advantage offered by MIRV technology was the ability to implement limited nuclear strikes over a protracted period of time. U.S. strategists embraced such limited nuclear options as a plausible alternative to a massive exchange of nuclear weapons. Green and Long explain that these were conceptualized as attacks “with a limited number of weapons to cause pain, demonstrate US resolve, and incentivize the Soviet Union to stand down in the early stages of a nuclear war.” They quote a 1973 U.S. National Security Memorandum that asserts that limited nuclear options “could potentially also provide a capability to conduct discrete limited attacks on enemy forces in an immediate area to deny a local objective.” The cost-effectiveness of MIRVs, where one missile can carry several warheads, made acquiring these capabilities more feasible and provided wider targeting options. The embrace of nuclear war-fighting concepts such as damage-limiting first strikes, limited nuclear options, and decapitation all required accurate MIRVs capable of destroying hard targets because most militarily critical targets, including missile silos and command bunkers, were hardened to survive nuclear strikes that did not land very close to their aimpoints. When the capability to place the target within the crater caused by the nuclear explosion was acquired, these strategies became possible. This key observation leads to another negative consequence of nuclear counterforce strategies, which is highlighted in the report’s second chapter, “The Impact of MIRVs and Counterforce Targeting on the US-Soviet Relationship,” by Russian scholars Alexey Arbatov, a member of the Scientific Council of the Russian Ministry of Foreign Affairs and the Advisory Council of the Russian Prime Minister, and retired Major General Vladimir Dvorkin, who had served as an expert for the preparation of key U.S.-Russian bilateral nuclear treaties. The dynamics of the U.S.-Soviet arms race were clear: the deployment of accurate ballistic missiles with MIRV capability gave the United States the theoretical ability to deliver a disarming strike against Soviet strategic nuclear forces. The Soviet Union responded by deploying MIRVed ballistic missiles of its own to achieve parity in the number of warheads and to increase its ability to penetrate the anti-ballistic missile system that the United States was expected to develop. This development placed at risk the United States’ silo-based missiles and command centers. The United States then hardened its command and control and MIRVed hundreds of ballistic missiles aboard submarines that were relatively invulnerable to a first strike. The Soviets then deployed missiles on mobile launchers; created mobile command centers; built reserve airfields for its strategic bombers; and increased the number of nuclear ballistic missile submarines on sea patrol. The U.S.-Chinese strategic relationship now equals or exceeds that with Russia in terms of its consequences for international stability. Beijing maintains strategic capabilities far below those of Washington and Moscow, but is modernizing its nuclear forces and appears to have equipped its DF-5 ICBM with MIRVs. As author Jeffrey Lewis makes clear, there is little evidence “to conclude that this is driven by military requirements associated with the pursuit of a counterforce targeting strategy.” Rather, the primary reason for China placing MIRVs on the DF-5 is to ensure that some warheads could penetrate U.S. missile defenses, therefore deterring U.S. aggression. As Lewis makes clear, the chances that nuclear war-fighting strategies will enter the U.S.-Chinese strategic balance are growing. China has deployed anti-satellite weapons on the ground and in space that could eliminate the surveillance and intelligence on which the United States depends to attack mobile targets and cue missile defense systems. These systems would be lucrative targets for the United States in any future regional conflict with China and could be attacked early with long-range conventional weapons. The recessed nature of the Chinese nuclear deterrent might also increase classic forms of deterrence instability. Most Chinese warheads that can reach the United States are deployed on mobile missiles that remain in their garrisons and increasingly on submarines that spend most of their time in port. In this configuration, they are vulnerable to a first strike by U.S. MIRVs. Lewis observes that if both sides judged that war was about to break out, incentives would be high for China to disperse its nuclear forces and for the United States to strike them before this could be achieved. Moreover, Chinese strategists are beginning to highlight the potential benefits of alerting their nuclear forces to signal resolve and avoid nuclear coercion by the United States. The United States might perceive such alerts as preparation for launch and consider pre-emptive attacks, sharply increasing crisis instability. MIRVs or multiple warheads without independent targeting capability are not seen in India as inconsistent with its recessed deterrence forces. They could be developed for ballistic missiles that remain in a low state of day-to-day readiness. India does not possess the tracking or command-and-control capabilities to support counterforce targeting today, but will develop such capabilities over time. 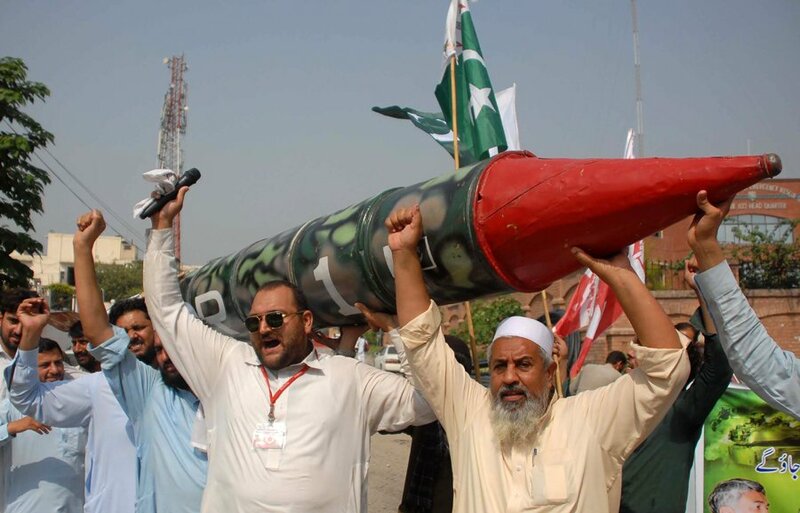 Pakistani nuclear doctrine differs fundamentally from Chinese and Indian doctrines. Pakistan sees nuclear weapons and the option to use them first as necessary to offset conventional force disparities with India. So, India’s pursuit of MIRVs and missile defenses challenge the effectiveness of Pakistani strategic deterrent. If India introduces MIRVs, Pakistan is likely to do so as well. This is the conclusion by Feroz Khan and Mansoor Ahmed in their chapter. Other priorities for Pakistan would be to increase the survivability of its nuclear forces through completion of a triad of delivery vehicles, the deployment of nuclear cruise missiles, and improvements to command, control, surveillance and targeting. China, India, and Pakistan remain well behind the Unites States and Russia in counterforce nuclear capabilities, and their doctrines currently reflect these limitations. Over time, however, this study warns that “[t]he cascading effects of competitive MIRVing, flowing from the United States (and Russia) to China to India and finally Pakistan, have created a multidimensional security dilemma that appears to be leading inexorably to a new and complex problem in Asian security.” This dynamic will increase incentives for arms races, increased alert postures, and greater counterforce targeting capability—outcomes that decrease strategic stability in East and South Asia. This report counsels that such negative developments are not inevitable but will flow from deliberate choices made by Asian nuclear powers. So far, China has exercised the most nuclear restraint, including the very limited size of its nuclear forces, its lack of counterforce capability, and the recessed nature of Chinese nuclear doctrine. In stark contrast to beliefs in the West that robust nuclear forces and war-fighting doctrine are essential enablers of successful foreign policy, China’s rise in world affairs has hardly been hindered by its modest nuclear strategy. Indeed, China may provide an example of strategically wise management of nuclear policy and resources. Although controversy surrounds China’s ambitions in the South and East China seas, its actions there have not been linked to expansive nuclear deployments or doctrine. India has also taken a measured pace to enlarging its nuclear arsenal and maintains a retaliatory doctrine. Whether this restraint will endure has grave implications for global security and depends on many unpredictable factors worthy of constant analysis. 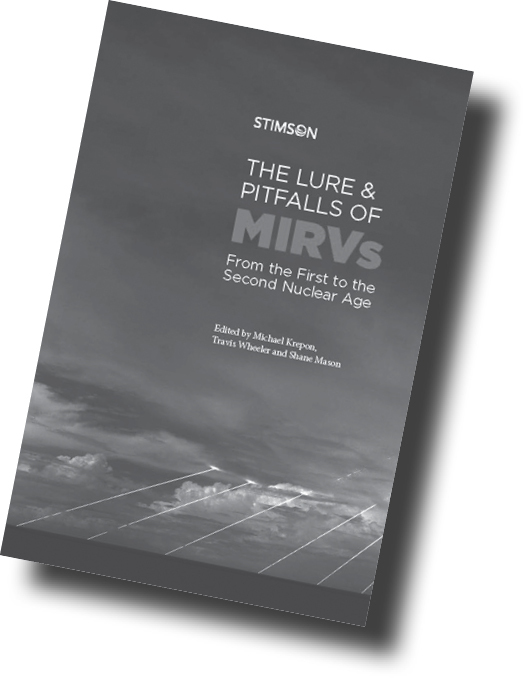 “The Lure & Pitfalls of MIRVs: From the First to the Second Nuclear Age” is a powerful resource for scholars and policymakers concerned with these questions. Its global scope, as well as its intricate details of the technical and political dimensions of the U.S.-Soviet Cold War arms race, provides valuable reference material that is accessible, well organized, and well documented with primary sources. This book advances understanding of the dynamics of nuclear arms competitions, the forces that trap nations in endless counterforce strategies, and the burdens and dangers that result. 1. Aaron Stein, “Putin’s Dead Hand,” Arms Control Wonk, podcast audio, March 8, 2015, http://www.armscontrolwonk.com/archive/5263/putins-dead-hand/. 2. Jeffrey Lewis, “Our Nuclear Procedures Are Crazier Than Trump,” Foreign Policy, August 5, 2016, http://foreignpolicy.com/2016/08/05/our-nuclear-procedures-are-crazier-than-trump/. James E. Doyle is is an independent nuclear security specialist. He was a technical staff member at Los Alamos National Laboratory from 1997 to 2014.